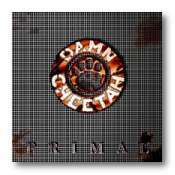 Read the latest reviews on the P R I M A L / Damn Cheetah CD! Everyone purchasing the Damn Cheetah "P R I M A L" CD will automatically be entered into the drawing for an autographed "P R I M A L" poster signed by Les Brown of Damn Cheetah/N.R.G. 13x19. Everyone purchasing Drum School will be entered into the drawing for a pair of NRG Signiture drum sticks designed by Lee Mangano drummer of N.R.G.! 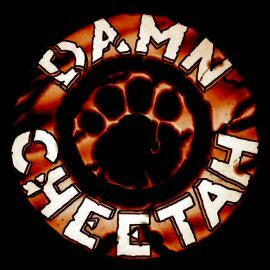 DAMN CHEETAH is out, and on the loose with a PRIMAL sounding album! Primal is armed with incredible lead vocals delivered by vocalist Les Brown with Carl Fragnito serving up guitar solos that would have him earned him praise of such magazines as Guitar World back in the MHR heyday. Cheetah was well known on the NYC club scene in the late 80s to early 90s with a big buzz with the magazines and labels. As in a lot of cases of unsung heroes, times changed and that brass ring just seemed to stay just out of reach. The band disbanded and called it a day in the early 90s. NOW, with a renewed interest and eagerness to get back out there, this cat is back in town and ready to show you, what alot of people never got a chance to hear. This album represents what was best about this band, with their melodic yet bluesy-based rock and impressive vocals and guitar solos. Which will have you recalling such bands as CINDERELLA, BON JOVI and others of the same genre. This is a must have album for anyone that loves music with a hard-edged stadium rock sound and is only a appetizer of what to expect from album !!! MAYBE TOMORROW: NOW this is the song that will leave a smile on your face and put a positive spin on even the worst day! This song is pure melodic drenched fun with an optimistic look on tough times. IF YOU LIKE WHAT YOU SEE: Now this is the song that gets the woman dancing. The title says it all. If you’re a fan of Cinderella ala Gypsy Road, then this is the song for you. Once again,. FUN FUN FUN! FOREVER: Now being a band that is rooted firmly in the 80s sound. You need “the ballad”. Well, this is it!! A song that says it all about LOVE. Simply put, when you find the “ONE” it is…Forever. LOVE THUNDER: Raunchy and in your face!! Has that big sing along chorus with memorable guitars. SOME KINDA WOMAN: This is the “groove” song. It gets down and dirty and kicks in with a BIG chorus. Very good sing along type of song. WITHOUT YOUR LOVE: Well one ballad worked…why not two!? This is Carl’s fave to play of the two. Think that you have just made a huge mistake, and you realize you cant live without that person. This song has a very Warrant feel to it. GIMMIE GIMMIE GIMMIE: A lil attempt at those good ol boys of Bean town. This song has an Aerosmith meets ACDC thing going on. Its got that Steven Tyler swagger, but with a ACDC balls out Vocal gruff in the vocals. Once again…BIG chorus with big guitars! BRING ON THE MARSHALLS! KING OF THE HILL: Once again we tread on the Cinderella ground with a very bluesy acoustic flavored drinking moonshine song that tells a lil story about Johnny. Fun and changes the pace a lil. HUNGRY FOR YOUR LOVE: Another in your face song with big guitars and vocals, that makes my throat hurt when I hear that high note! TONIGHT: This was some new ground for the band bringing in the aid of a Piano for this song. It gave us a new dimension. This song is a pure joy. It has a nice build to a BIG chorus. This is cut from the same cloth as tomorrow. This song will leave a smile on your face and think, things aren’t that bad. Les has been singing for many years with various original bands and has shared the stage with many national acts such as: Blue Oyster Cult, Goo Goo Dolls, UFO, Kix, Joan Jett, Extreme, etc. While with the band N.R.G. he was featured in the soundtrack for the internationally released animated movie "Transformers:The Movie". (Scotti Brothers/C.B.S.) And more recently with the band Damn Cheetah won the New York City Music Awards for "Best Unsigned Band". Les is currently available for: Studio,CD-Rom Multimedia,Commercial Jingle work! The Band: What can I say... a great bunch of guys! Brothers Fragnito: Carlo and Anthony are very talented people and players, prior to Damn Cheetah both were in a band called Blacklace who recorded a couple of albums for a UK label and toured throughout Europe. Carlo is an awesome guitar player and has a very unique style. "Back Where I Belong" solo record to name one! Anthony is a great songwriter and a hell of a bass player. NEWS FLASH! Now taking orders!